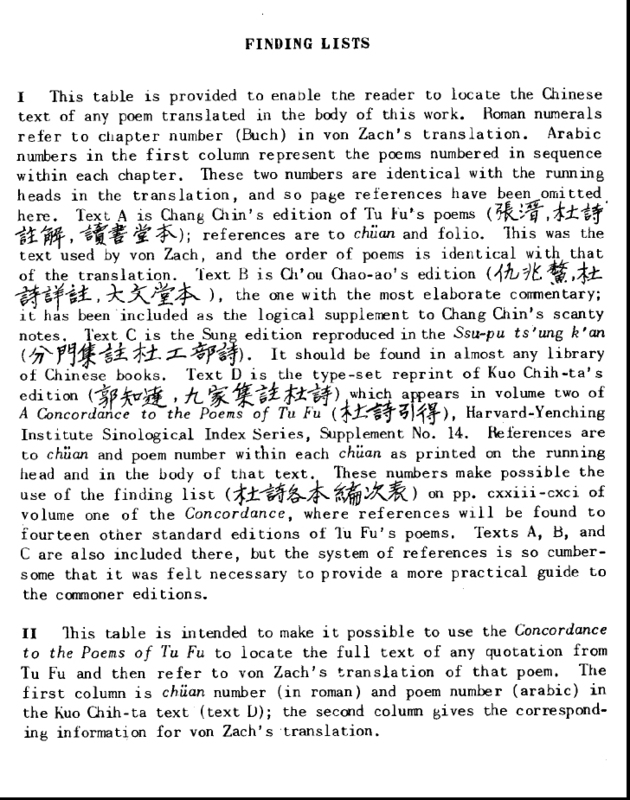 i have noticed that it has been difficult to cross reference my du fu translations with the chinese literature. 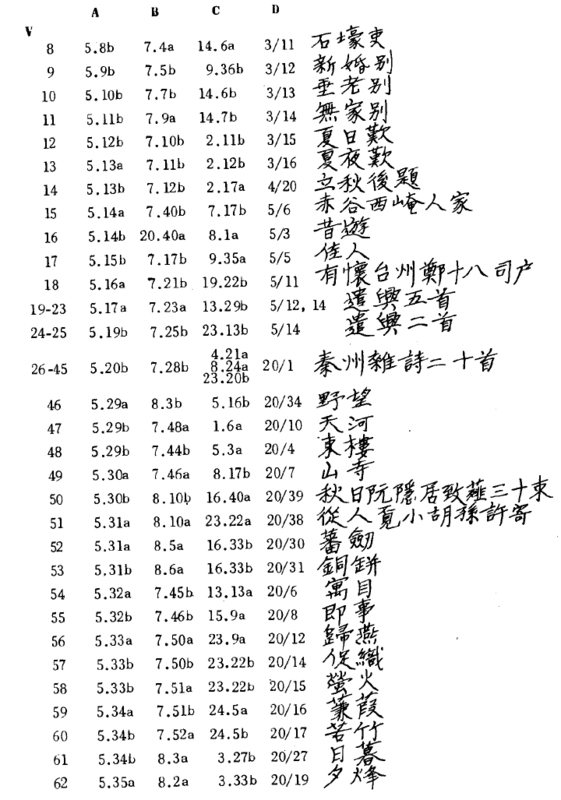 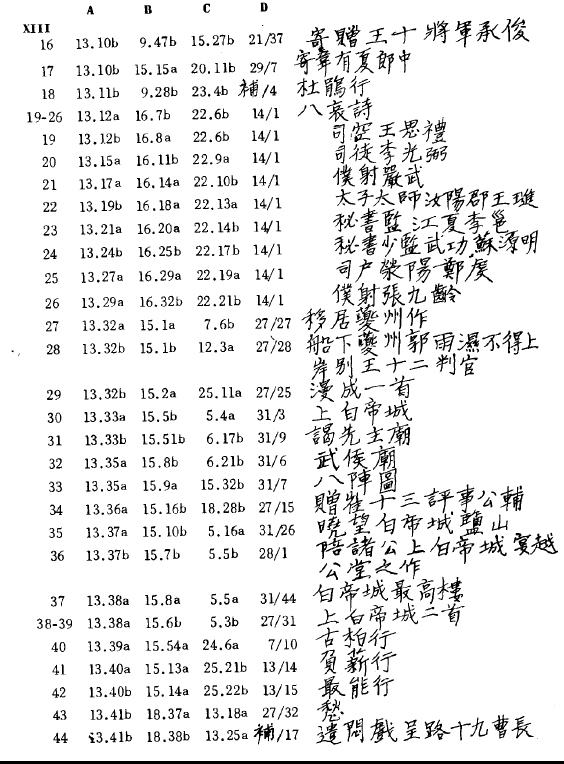 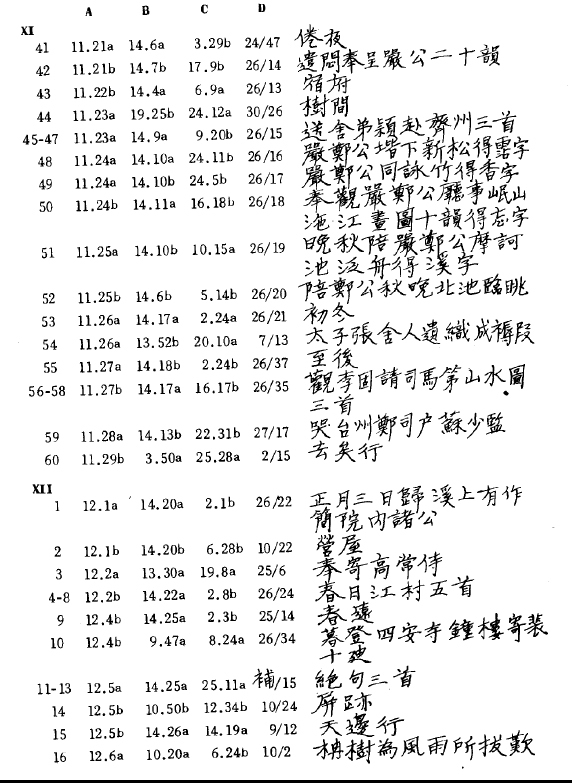 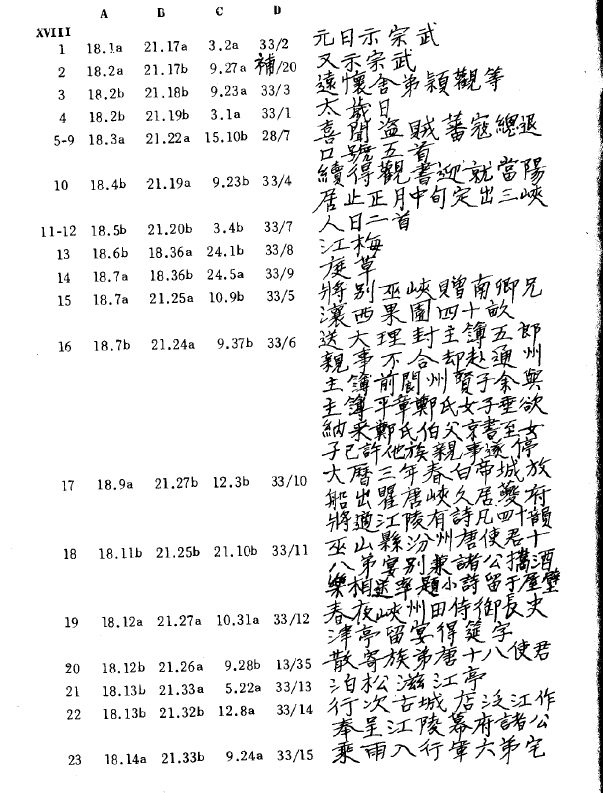 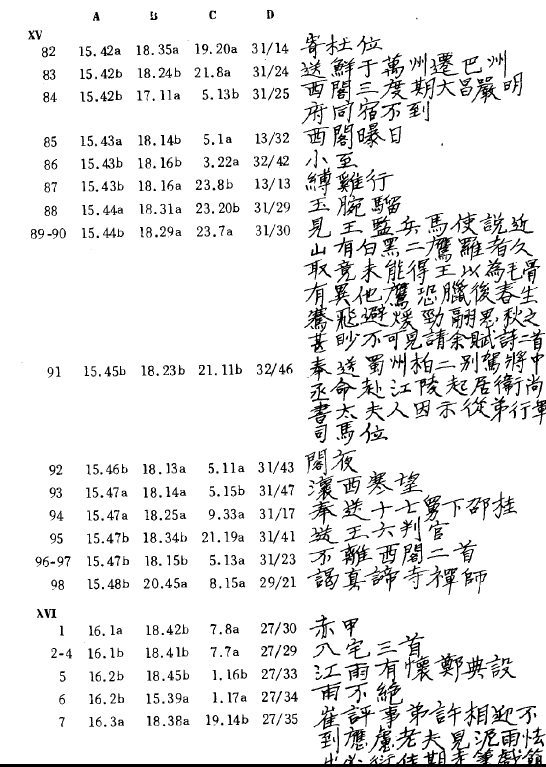 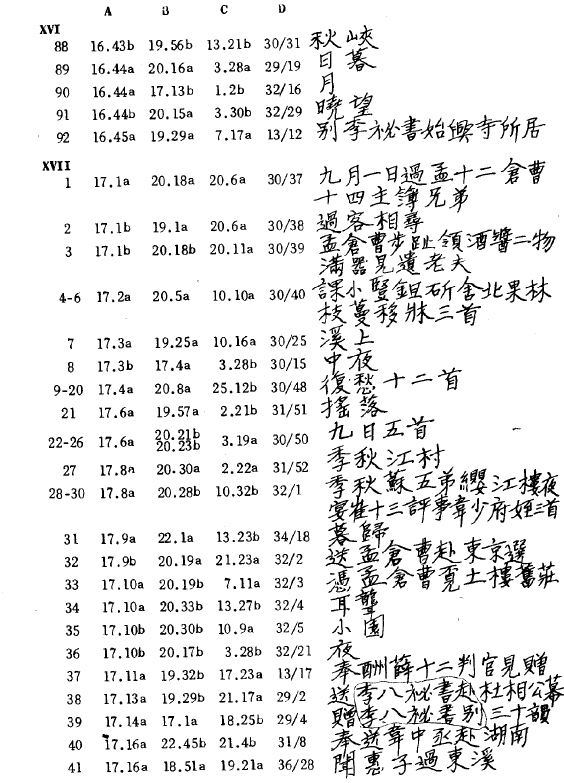 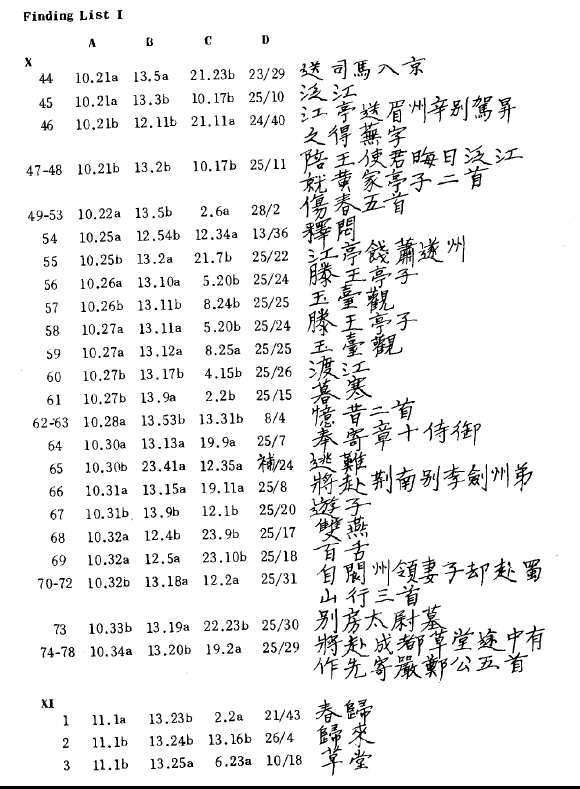 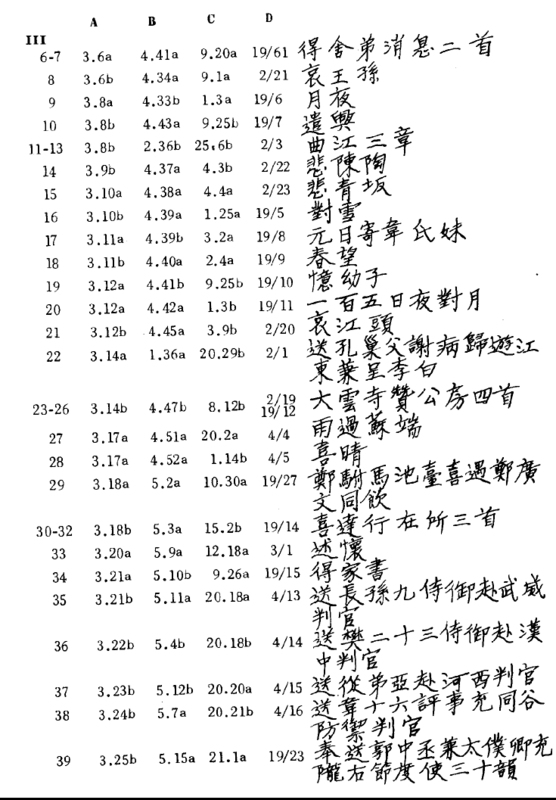 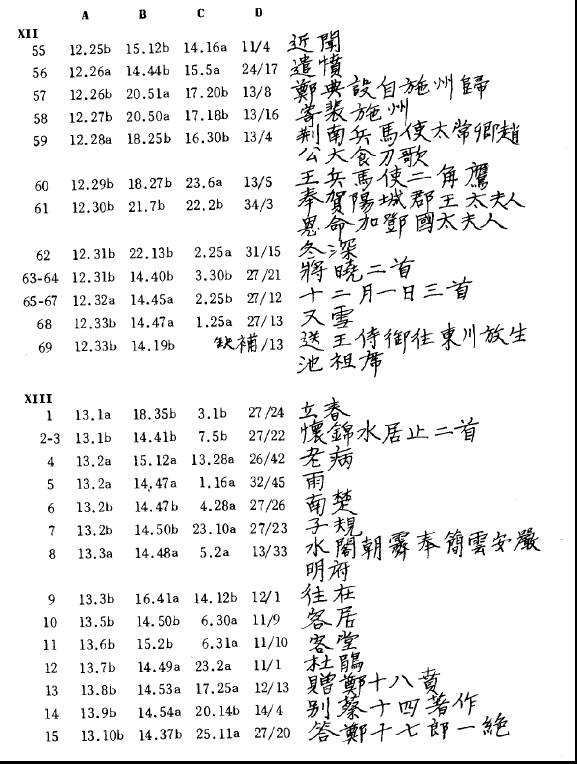 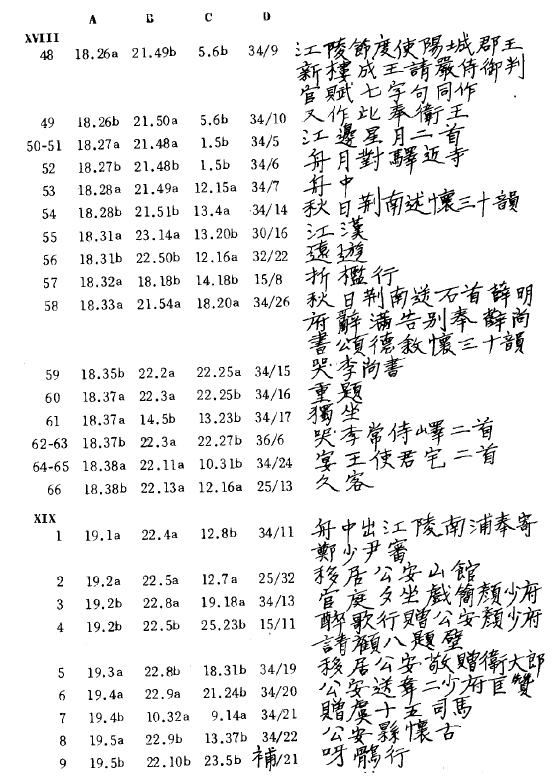 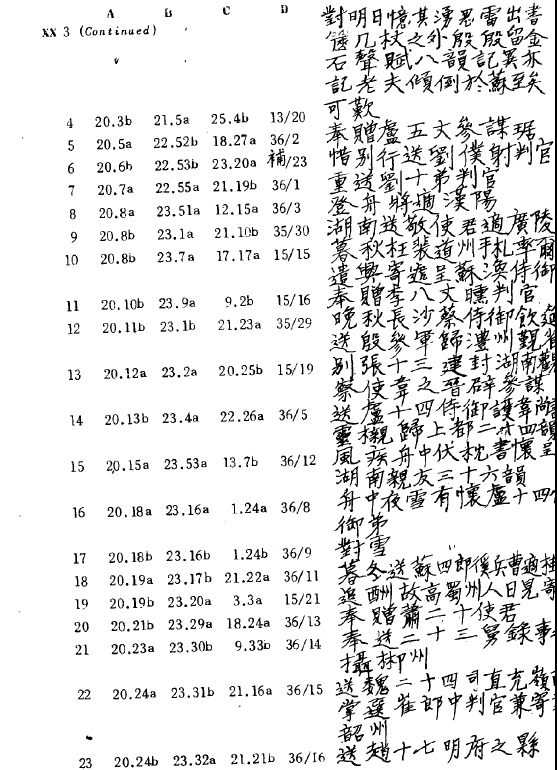 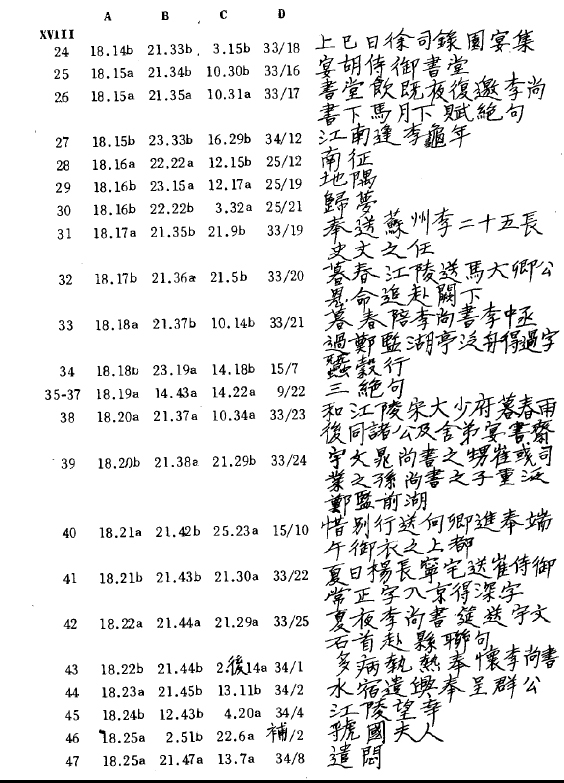 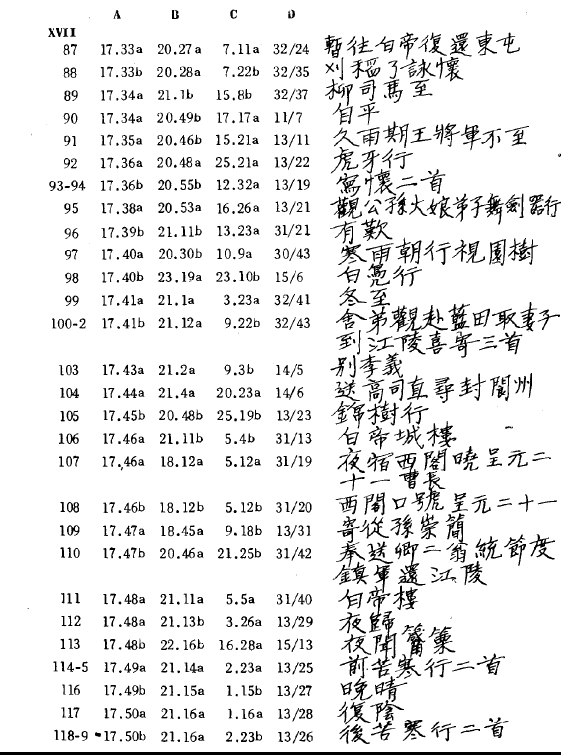 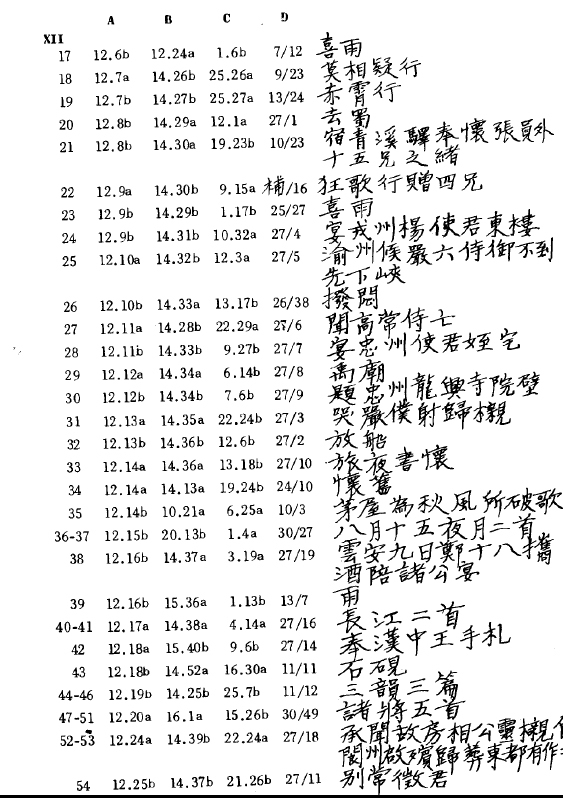 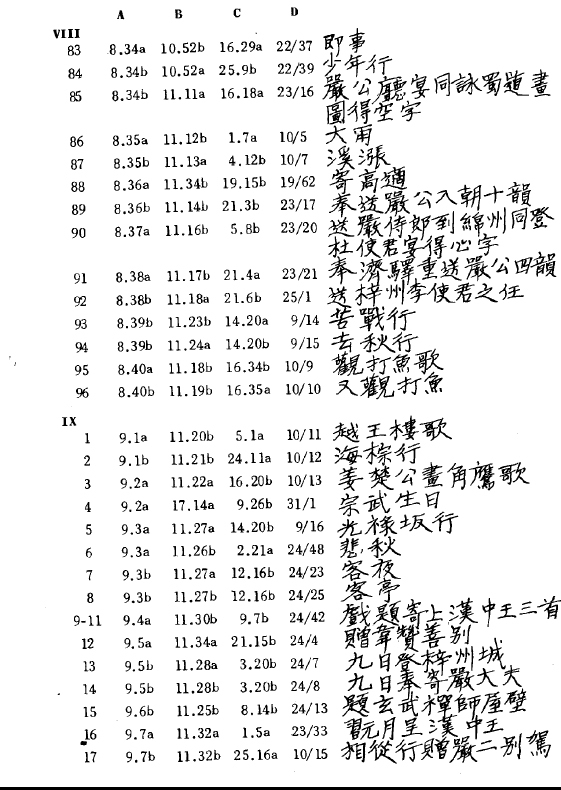 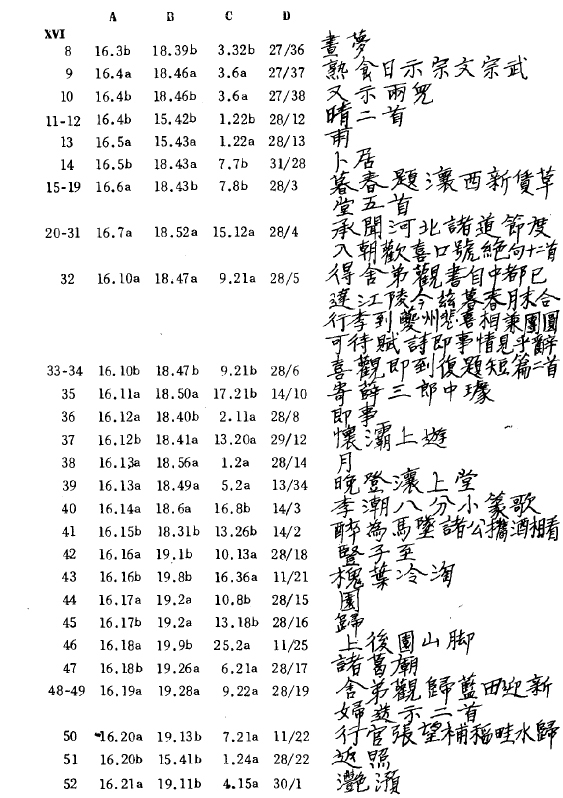 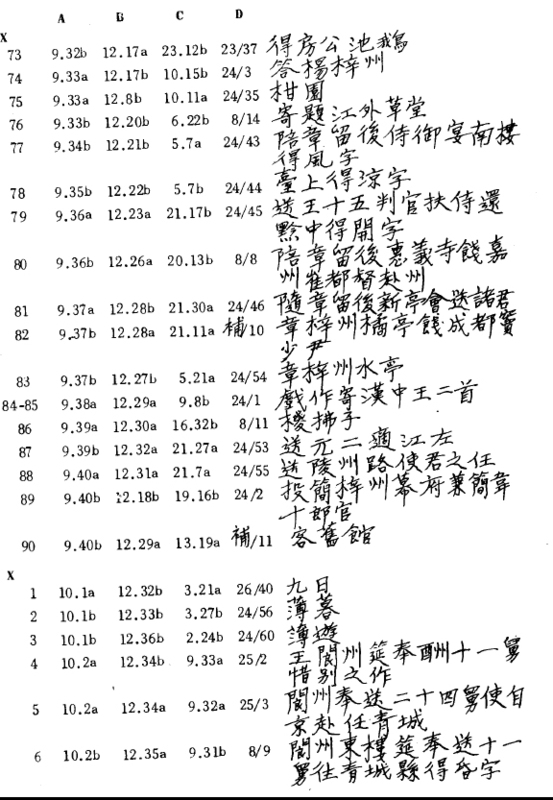 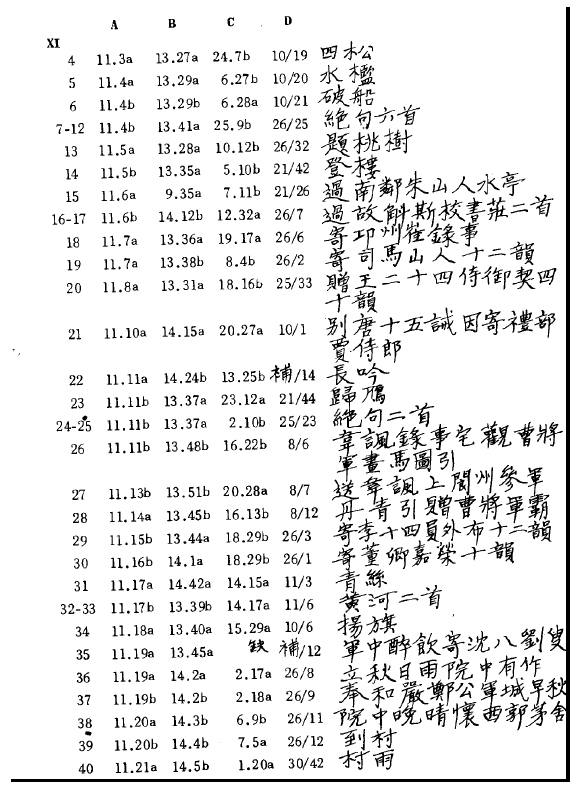 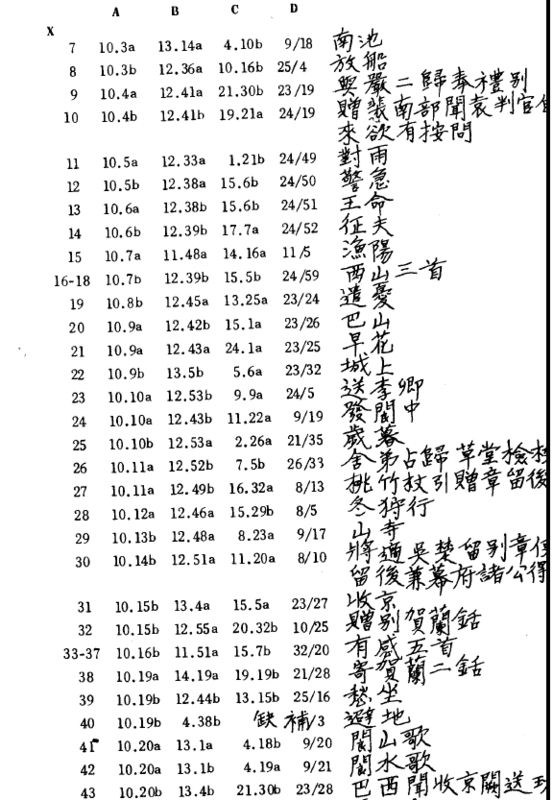 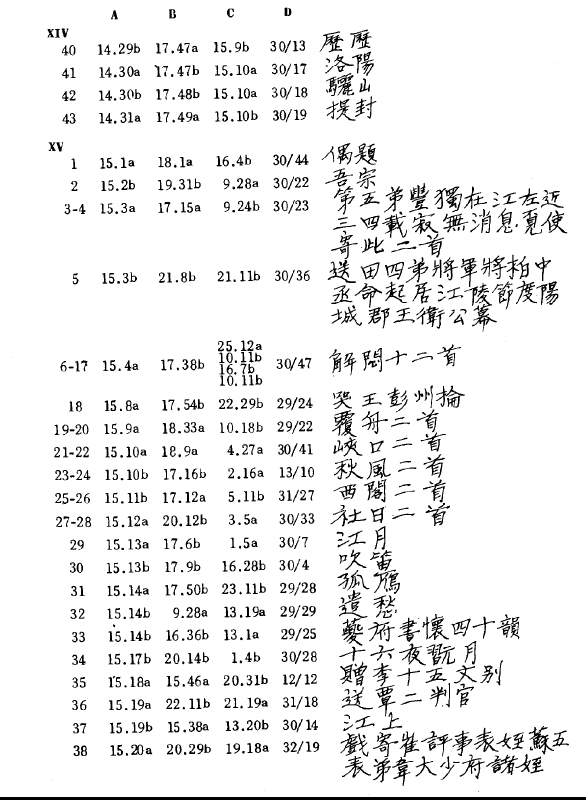 i have presented his works in the same order as that of erwin con zach and here i append his concordance of his work and several chinese compendiums of du fu’s work. 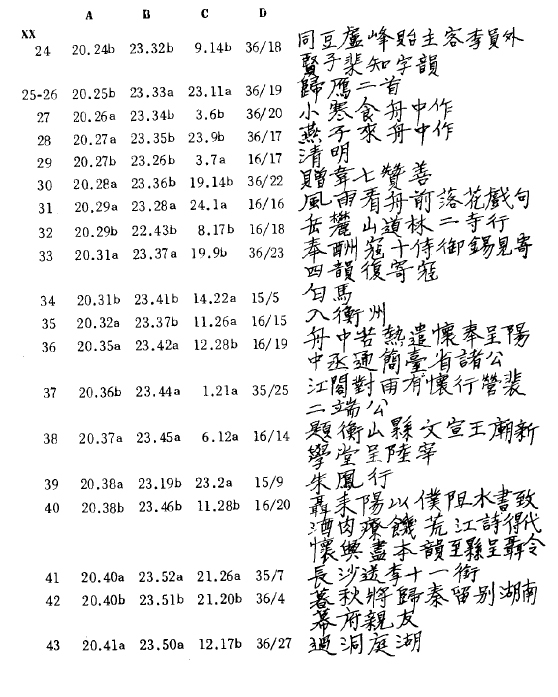 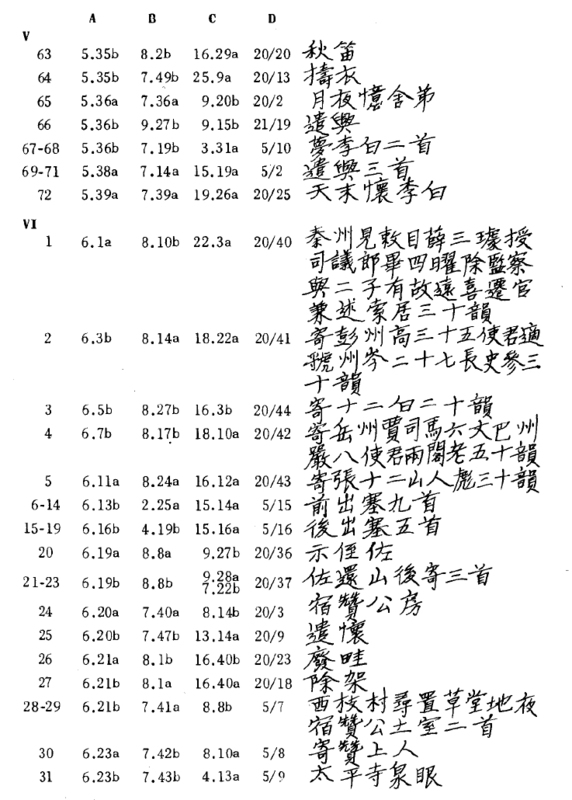 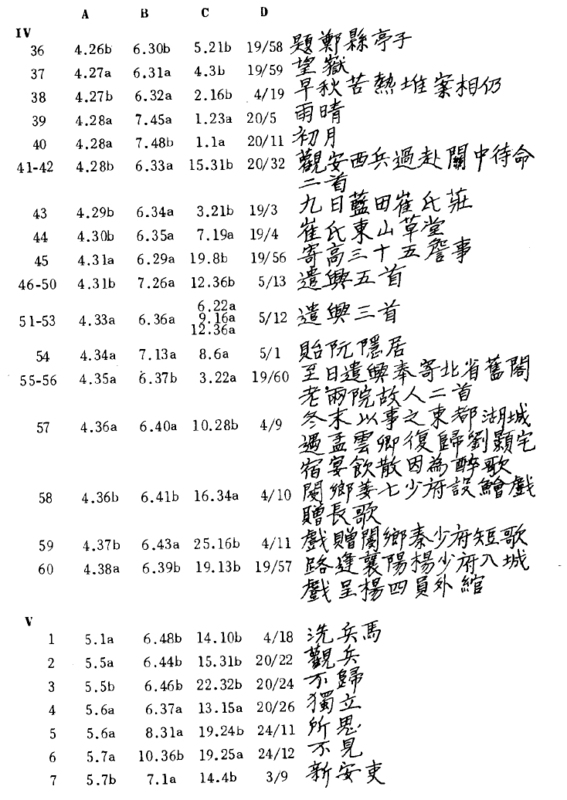 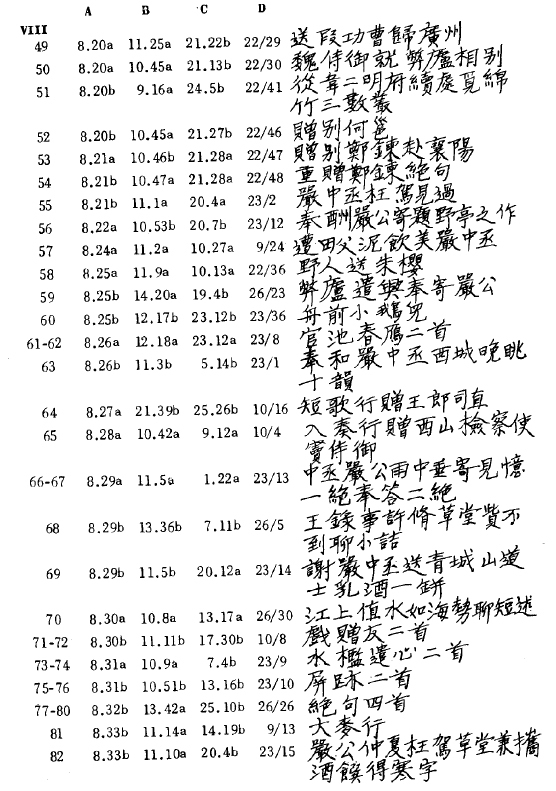 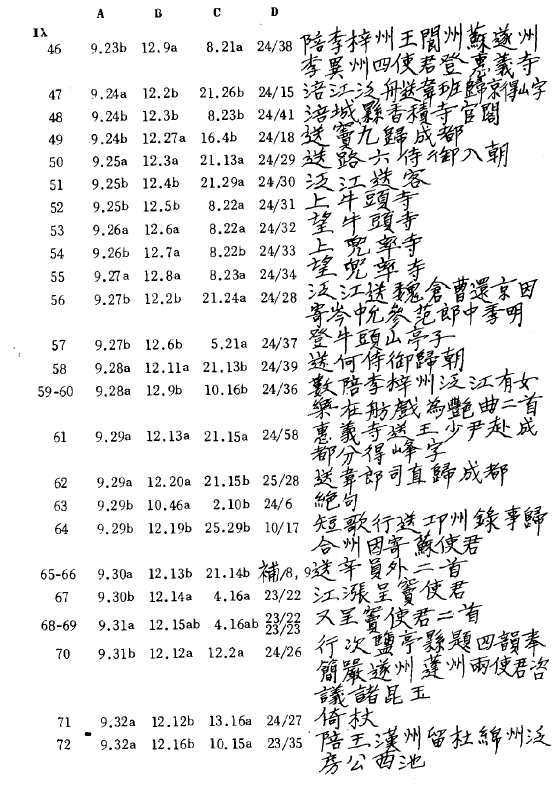 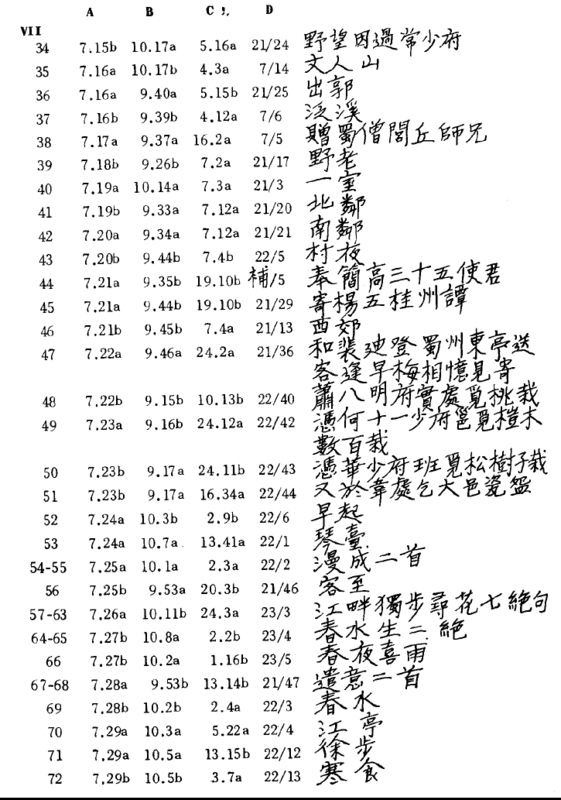 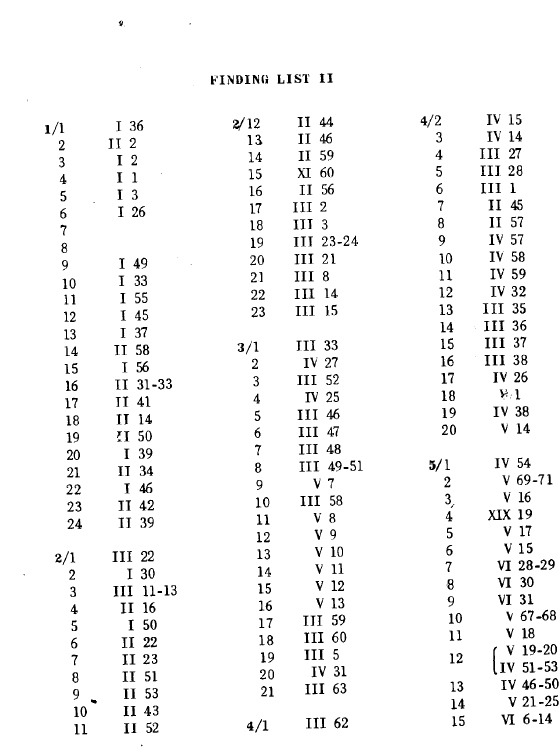 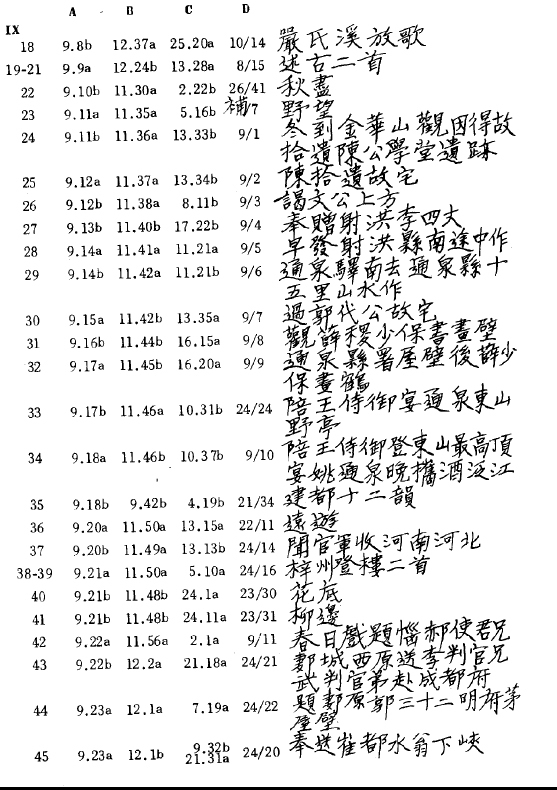 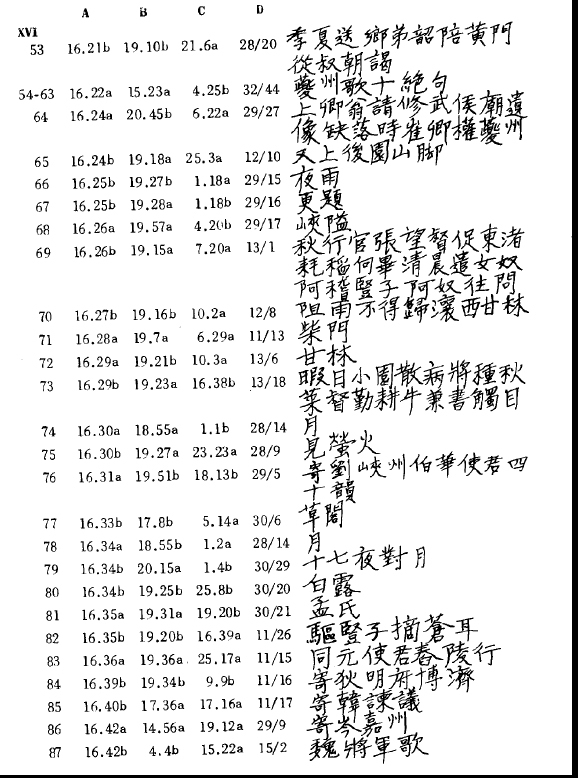 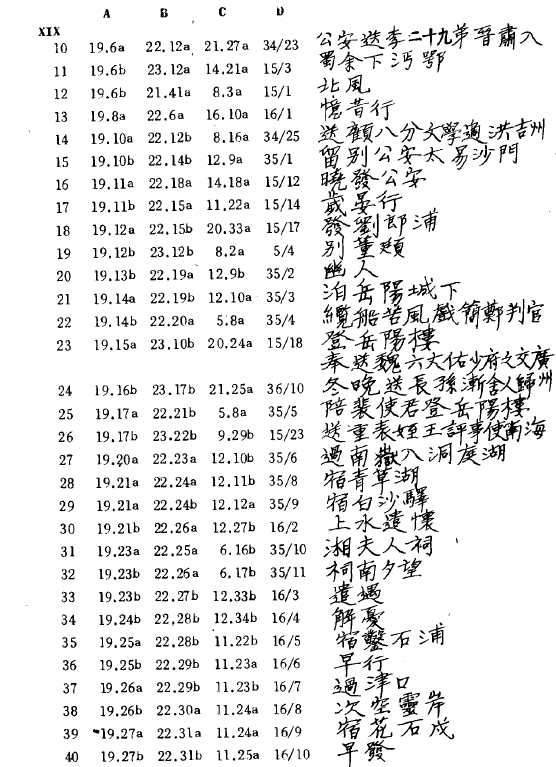 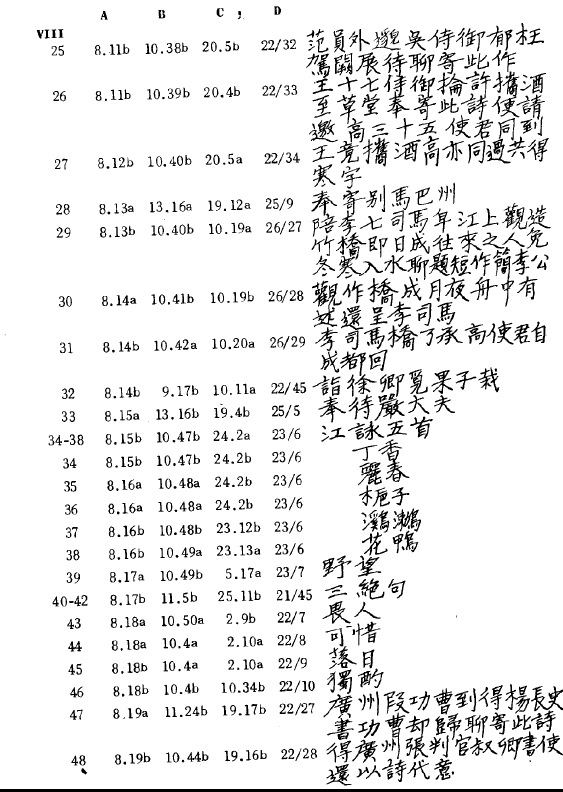 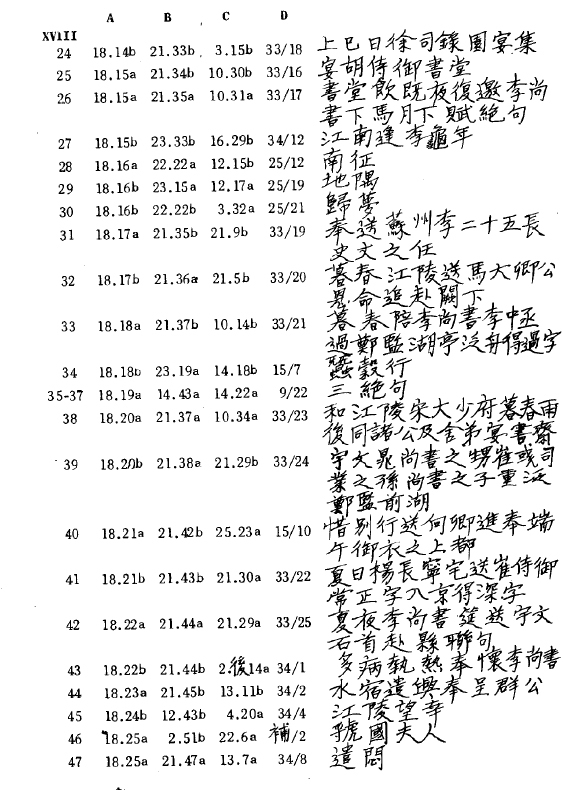 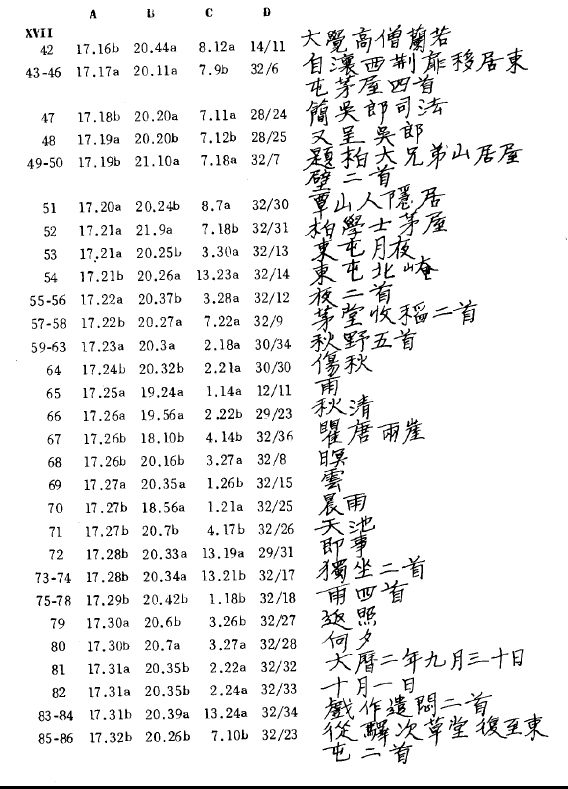 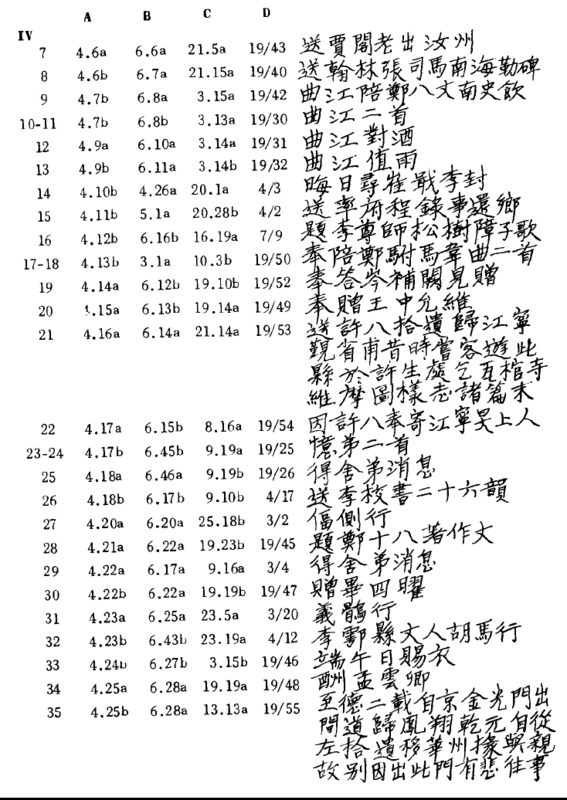 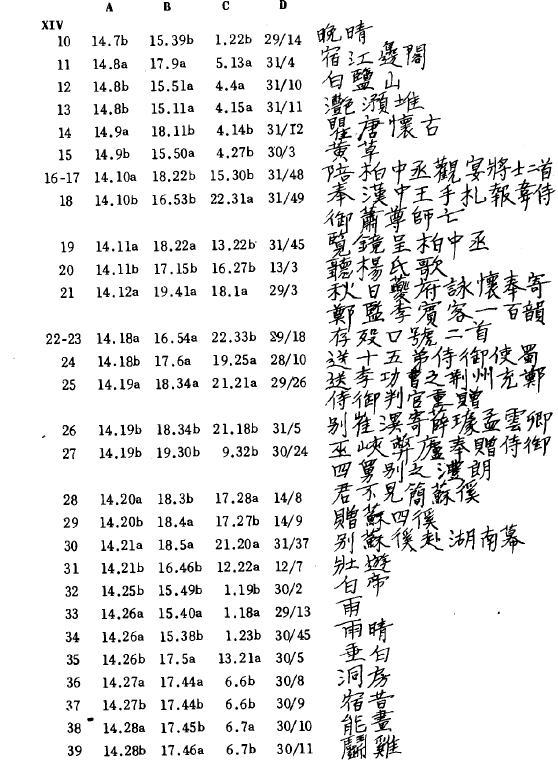 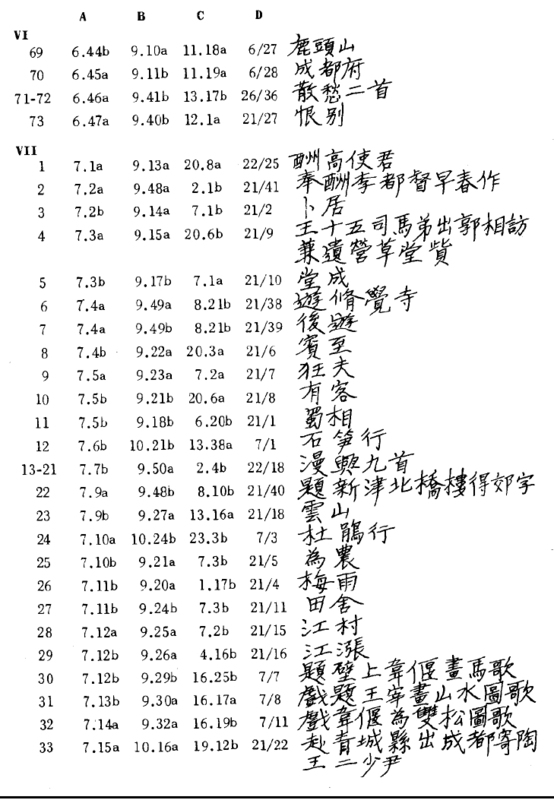 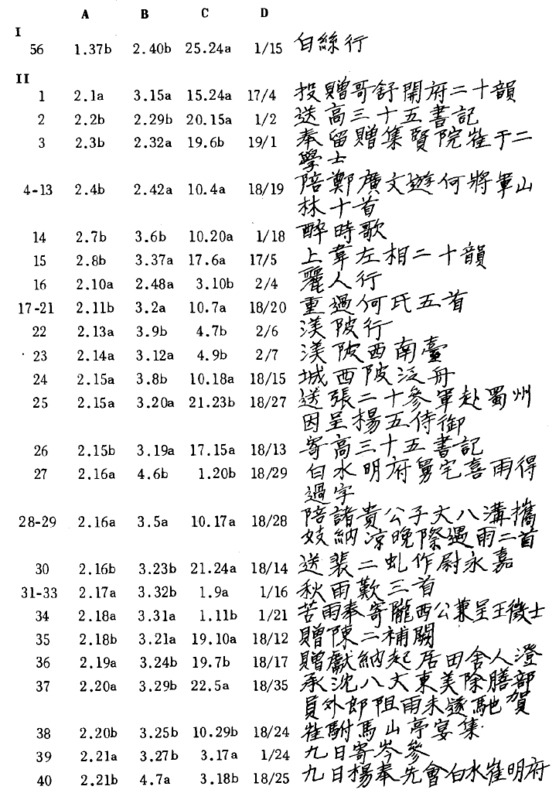 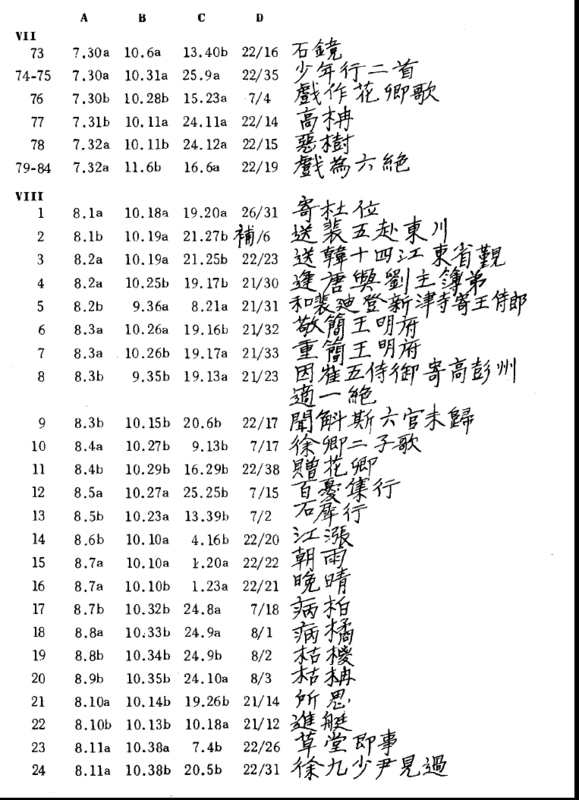 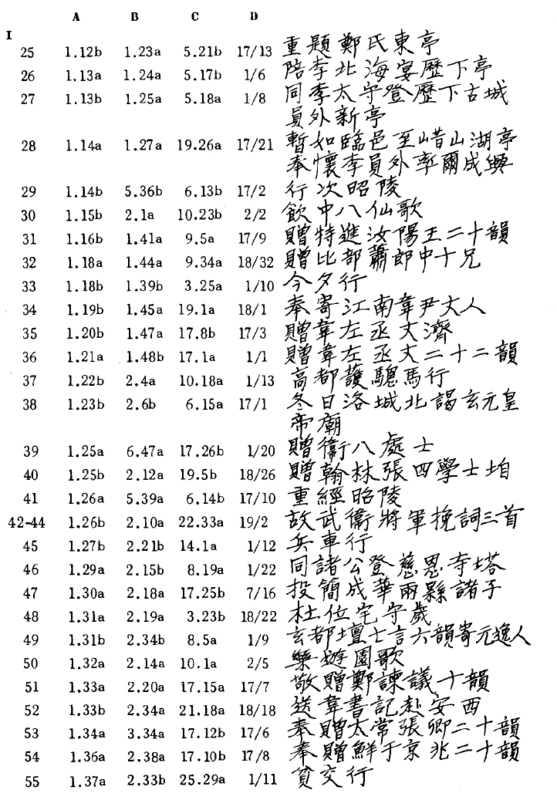 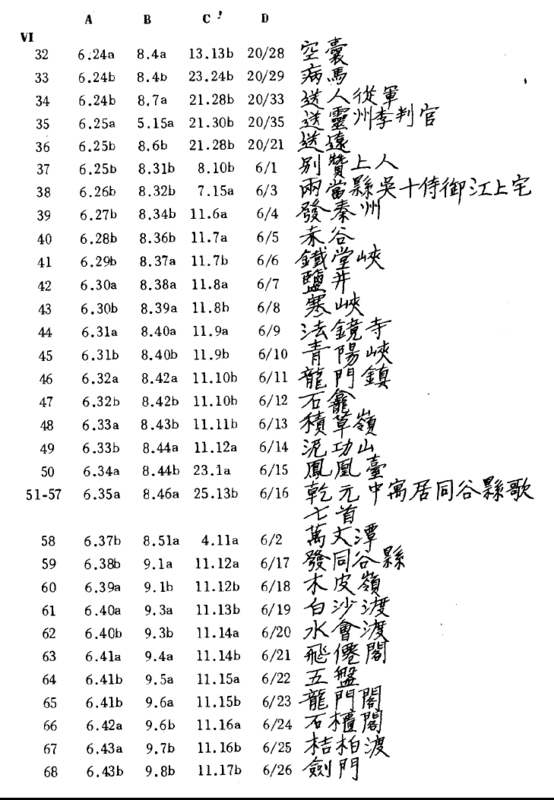 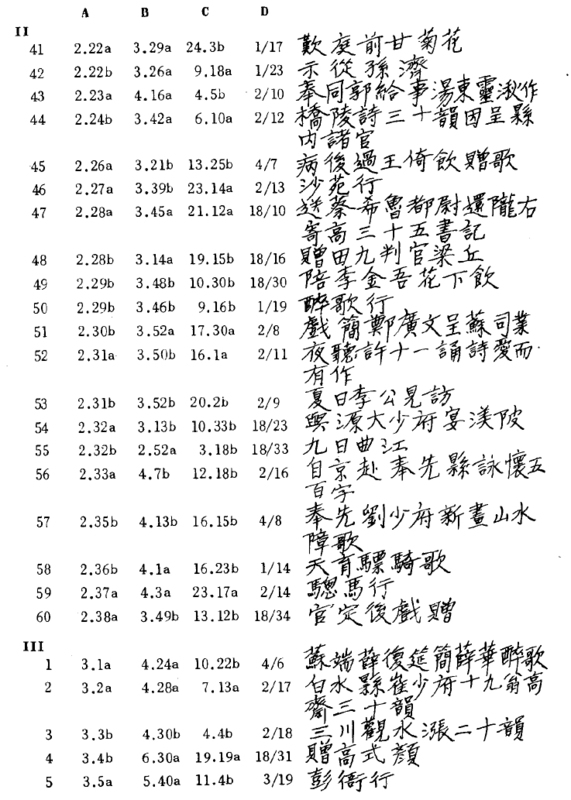 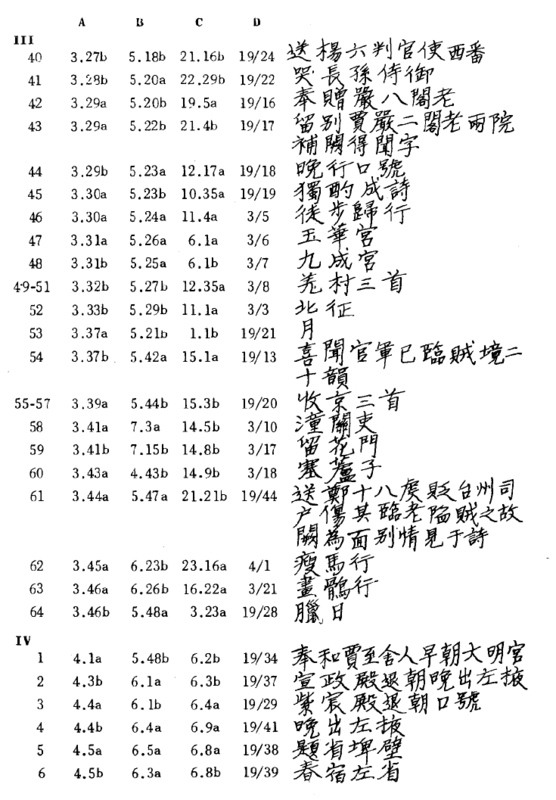 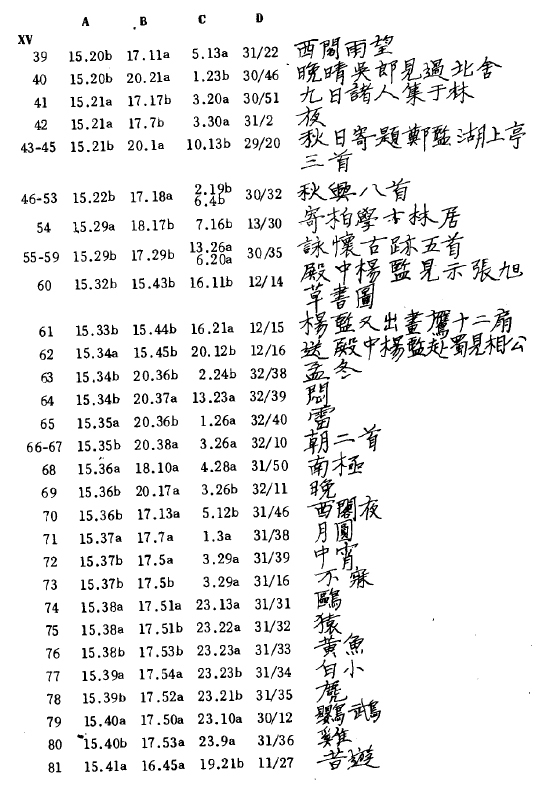 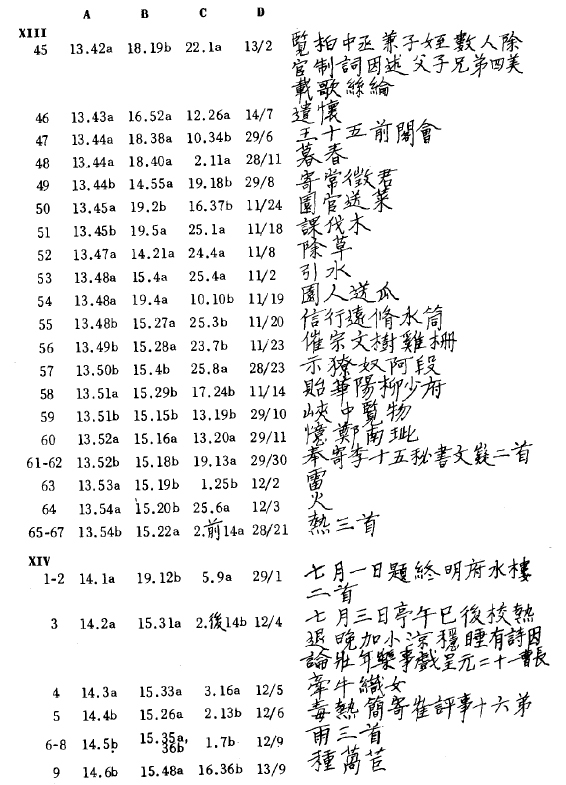 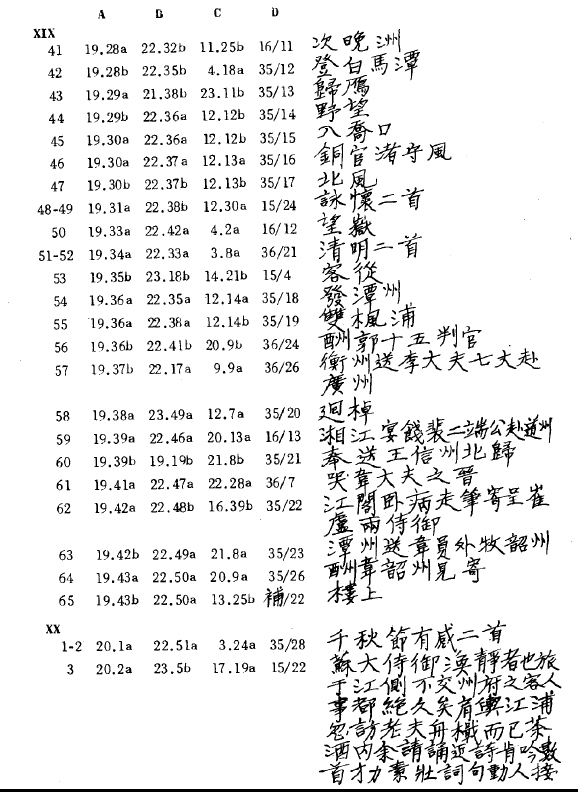 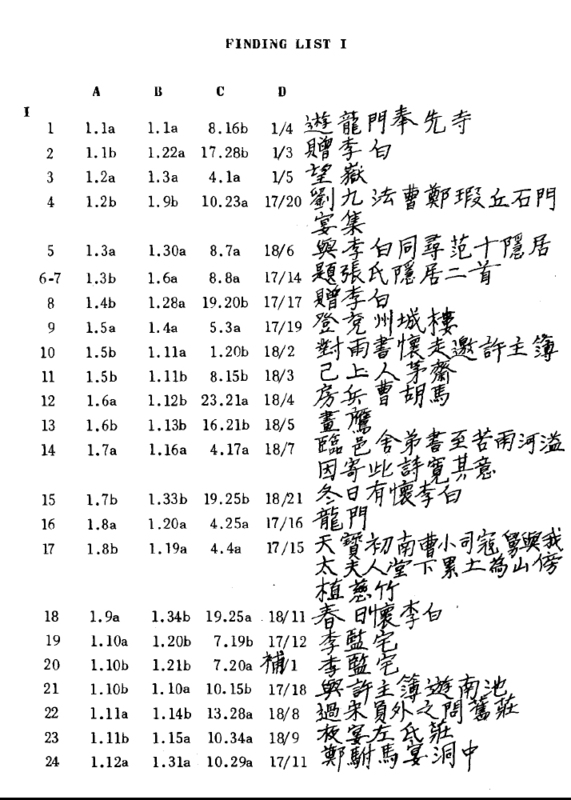 i hope this helps those who wish to see the original chinese texts for any of my renditions.